Nampa is Idaho’s second largest city, and is located in the southwest corner of Idaho. Located about 20 minutes west of Idaho’s capitol city of Boise, Nampa has easy accessibility to Idaho’s outdoor life and surrounding cities. Nampa, Idaho is a great place to live, work and play, offering a variety of opportunities including a growing business community, great schools, great health care facilities, arts and entertainment, and a variety of recreational opportunities. Approx. 80,000 residents call Nampa home. Single family housing in Nampa starts as low as 80,000. Nampa is home to Snake River Dayz, the famous Snake River Stampede. 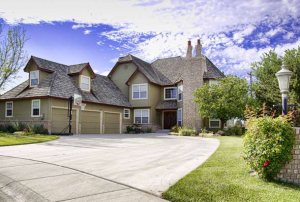 If you are hunting for homes and real estate for sale in Nampa, Idaho, let HouseHuntersofIdaho.com be your guide. View new real estate listings in Nampa from the comfort of your home. Hundreds of listings are updated hourly including foreclosures, short sales, condos, townhomes, estates and new construction. HouseHuntersofIdaho.com is your full service real estate team for homes and property for sale in Nampa, Idaho and surrounding areas.